VapeXhale Cloud Evo Review – What Makes it Internet’s Darling? Our Verdict: One of the most highly sought after vaporizers on the market, the VapeXhale Cloud EVO is a fantastic device. It is small, light, has a minimalistic design, is easy to use, and vapor production is some of the best one will ever see. Design: A sleek, stylish, and modern looking device, the Cloud EVO is about eight inches high with a slight cone shape to it with a three-inch square base. The front of the device has a power switch and temperature dial, both unmarked while the back of the unit has a standard computer power cable socket. Inside, a glass tube that is wrapped by the ceramic heating element can be seen, and on top is a glass connector. Everything fits together perfectly, creating a balance in design. It is a beautiful device, and many users will find themselves staring it at while vaping to admire its beauty and simplicity. Build Quality: The Cloud EVO is made almost entirely out of glass. The inside air pathway is glass, the connector is glass, even the body is made out of Zytel, a glass resin filled polycarbonate. The only thing not made of glass are the EX load bowls and the ceramic heating element. Because of this, one should not be too rough when handling the device. However, despite its seemingly fragile construction, the entire unit is extremely well-made. The high-quality construction makes sure that the unit will last users a good many years with proper care. What’s in the Box: For every purchase of the VapeXhale Cloud EVO, users will also get one glass mouthpiece, two EZ load bowls, two VapeXNails (for concentrates), one power cord, and a user manual. Usability: Matching its simple design, the Cloud EVO is very easy to use. To fill, users take one EZ load bowl and take off the cap. Fill it with ground material up to about 80% capacity to allow air to circulate inside it. Users recommend filling it only up to 50% for a more efficient vaporization process. To turn on the device, flip the power switch located below the temperature dial, then turn the knob to around the 12:00 position. Heat up times take about three minutes, and you will know it is ready once the LED light turns green. Once ready, place the bowl inside the chamber, attach the tube to the connector, and start vaping. Simple yet effective. You will start vaping like with the vape starter kits. Vapor Production and Performance: Most users agree that the Vapor quality from the Cloud EVO is on-par with the best vaporizers on the market, including the highly touted Volcano. This says a lot about the overall performance of the device. Vapor production from the unit is dense, smooth, and is pure and flavorful. Unlike the Volcano, which uses bags, the Cloud EVO is a direct draw vaporizer, so the vapor goes straight to the lungs, instead of through a bag first. The high-quality vapor is due to all glass parts and the ceramic heating element inside the unit. Glass does not taint the flavor in any way, unlike plastics where aftertastes are prone. Thus many users often prefer glass tubes in their vaporizers over anything else. A huge selling point of the Cloud EVO is its ability to use various tubes that all perform flawlessly. The primary glass mouthpiece is included with the device upon purchase, but buyers can get additional tubes for vaping through water. The Hydratube upgrade is especially useful for those who love to filter their vapor through water. However, if one already has a standard water tube on-hand, the Cloud EVO can use it since it has a standard size connection, adding to its overall value. Battery Life and Atomizers: The Cloud EVO does not run on batteries. A power cable is included in the package and the device is designed to be use at home. Especially with all the glass parts, using it out and about is definitely a no-no. Users won’t have to worry about battery life or have power issues with the device, ensuring uninterrupted vape session all the time. The heating element is made of ceramic and it wraps around the glass tube inside the unit. It heats in about three to five minutes, depending on the temperature one sets it to. During use, or even when idle, the unit can maintain an even temperature throughout, however, some users complain that the top of the unit might become too hot. It does become hot after a while, but not enough to injure someone, still, when the unit is one for extended periods users should take care when handling the top of the unit. Cleaning and maintaining the Cloud EVO is fairly simple as long as you take some precautionary measures in between thorough cleanses. For instance, after each vaping session, we like to wipe the inside and outside of the chamber with a brush. After we have used about 14 bowls, we dip the dry herb basket in ISO alcohol for 15 minutes, followed by a thorough rinse. Make sure that the chamber and basket is totally dry before using them again. All of the Cloud EVO packages have a VapeXheat Shield in the box that covers the unit, making it easier to hold in your hands. Being a desktop vaporizer, the Cloud EVO is about 8 inches tall, 3 inches wide and 3 ¼ inches deep, without the glass secured to the top. Out of the options available, the “standard starter kit” comes with a glass mouthpiece that adds approximately 6-8 inches to the height of this model. You may also add one of the VapeXhale Hydratubes for filtering water and that additionally adds 6-10 inches too. The base unit on its own is not that big but with the glass attachments, portability is really out of the question as it makes the vaporizer stationary and something that will be tedious to carry around while traveling. The power switch is very high quality, user-friendly and easily accessible. Turning it fully anti- clock wise turns the vaporizer off and a full clockwise rotation sets it to the maximum temperature. Depending on the package you buy, the Cloud EVO comes with various accessories. The standard kit has everything you will need to vape dry herbs and liquids but only has a standard mouthpiece. It is by no means a bad package, but a drawback is that the higher temperatures will cause irritation in your throat without the water filtration. If you buy the “concentrate package”, it comes with the VapeXhale Adapter Kit which lets you connect the Cloud EVO instantly to your 14 or 18mm glass components. It is ideal for those who already have glass options available. The final kit is for anyone who doesn’t own any glass options and wants to vape both concentrates and dry substance. You don’t necessarily need to use concentrates but it still comes with a VapeXNail add-on if you need it. This kit comes with the VapeXhale Hydratube we mentioned earlier. Each Hydratube offers various levels of taste and diffusion. There’s reason why the VapeXhale Cloud EVO has become the Internet’s darling. 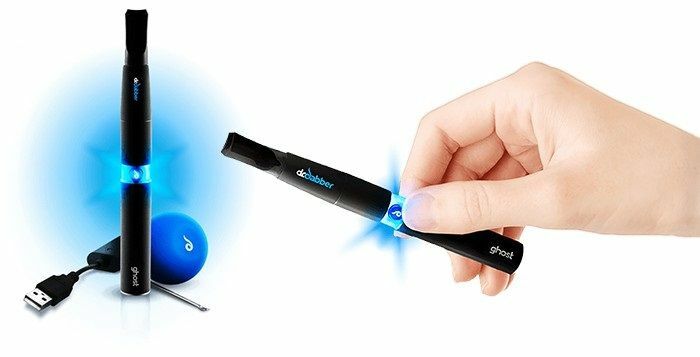 The device is very easy to use, performs great, and produces high-quality vapor that is matched only by more expensive units. It is a top-shelf device delivering top-shelf overall performance. The only downside with the device is probably its mostly all glass build, making it a little fragile. However, as long one handles it with care, and makes sure their friends do the same, the Cloud EVO will last for many years. Users who want a small, light desktop vaporizer that packs a mean punch should look into the VapeXhale Cloud EVO. It costs around $350 (more if additional tubes are purchased), but its overall performance makes it worth the price. 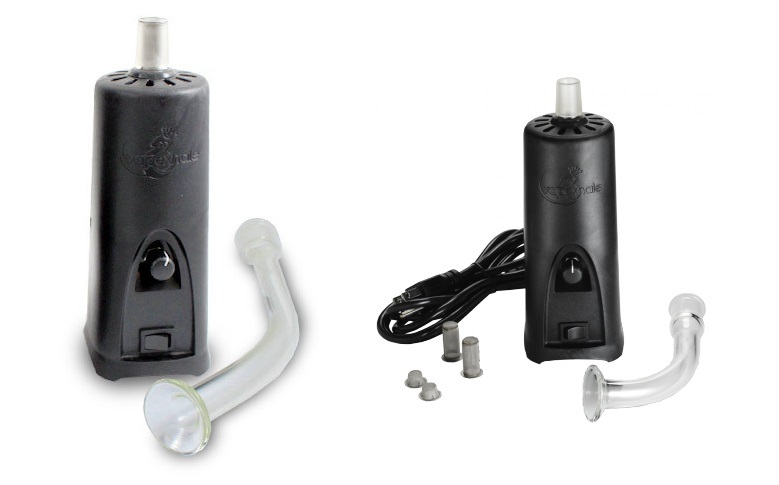 The Plenty Vaporizer by Storz and Bickel is one that carves a niche between the desktop and portable vapes. Is it worth the price? Let’s find out.